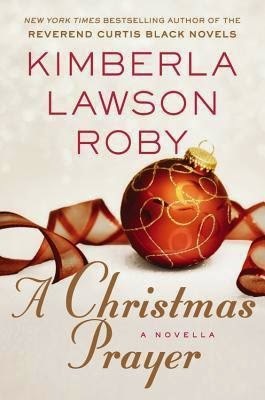 Synopsis: Alexis Fletcher hasn't had a merry Christmas in five years-not since her mother passed away. Every December she remembers the joy her mother brought to everyone during the holiday season and feels the pain of her absence, even more so now that she and her sister are barely speaking. More than anything, Alexis wishes her family could be whole again. However, with her wedding fast approaching, Alexis might just be ready to make some holiday memories with a new family of her own. Alexis's fiancé, Chase Dupont, is everything she ever dreamed of. He's kind, handsome, fully supportive of Alexis's career, and the CEO of a large company. But outside forces threaten to derail this happy couple from ever reaching the altar. As tensions rise, a dramatic event causes Alexis to question everything. Will fate give her what she needs to finally embrace the season that has brought her so much pain? Will Alexis get her wish for a happy holiday? Or will her Christmas prayer go unanswered? Review: I'm always glad when Roby takes a break from the Curtis Black story line. Like a lot of people, Alexis lost an important family member and it affects how she does (or does not) celebrate holidays, but especially Christmas. As someone that lost someone during the holiday season, I could relate to her story. I appreciated her relationship with her fiance, though I have to admit that I kept waiting for him to screw up. He seemed too perfect at times. His mother, on the other hand, is determined to make Alexis's life miserable and she does a good job of it. Of course, because this is a Christmas story, it has a happy ending. I think it was originally publicized as a novella, but at 192 pages, it reads like a full length story, one that is mostly enjoyable.